Gears of Halo - Video game reviews, news and cosplay : An Ancient Friend or Foe? 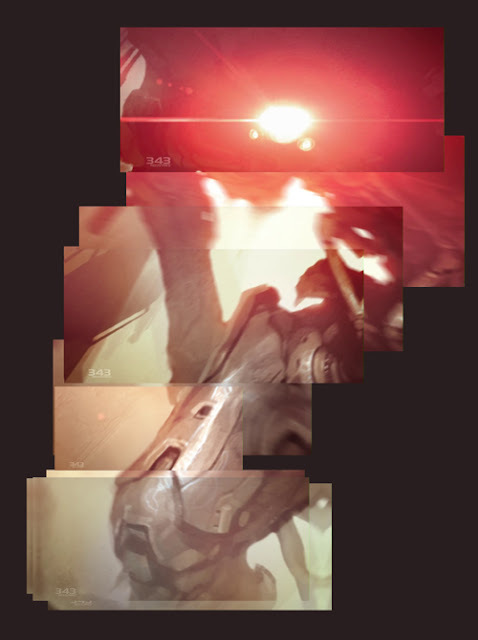 Remember that Halo 4 Concept Art that had the clipped ending? Someone wiser than me from Neogaf thought to piece out the images, collectively they appear to make up up some kind of alien for. Is this an Ancient Friend or Foe?